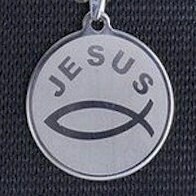 New Fashion JESUS FISH Etched Silver or Gold Stainless Round Silver Pendant. 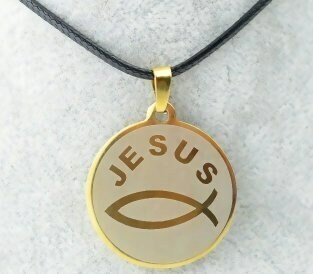 Elegant Silver or Gold finish Ichthus Ichthys ΙΧΘΥΣ Greek Fish Jesus Round Pendant and Necklace. 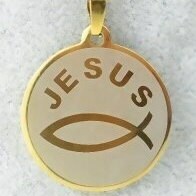 Measures 1 1/4" round. 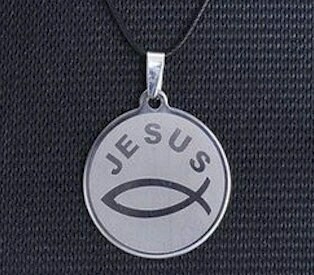 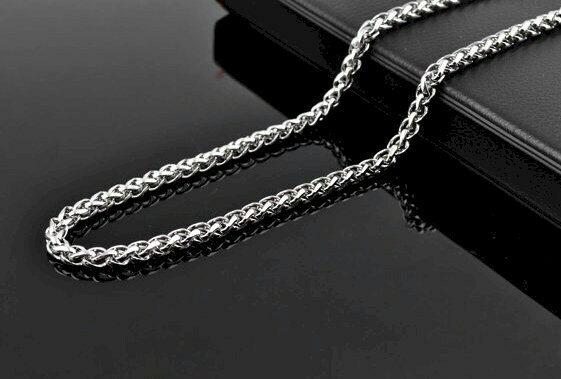 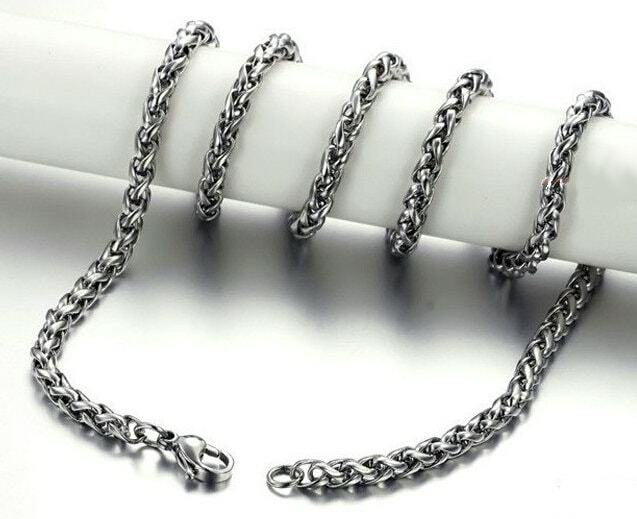 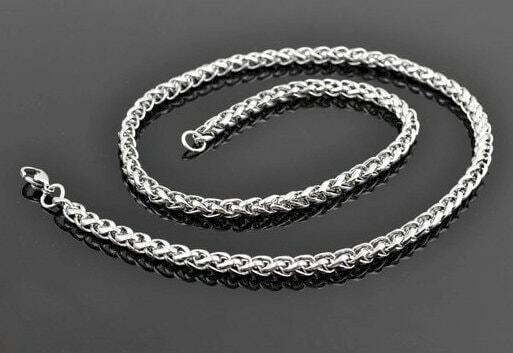 Comes with an 18" adjustable black chord necklace.